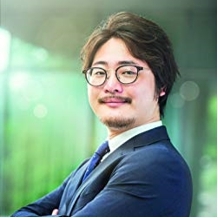 2010年-2013年 株式会社イキゴト Co-Founder, Managing Director. 2018年- (現職) REAPRA Venture Advisor board member. 2018年- (現職) 株式会社ZENTech Chief Scientist. 2016年 MITx on edX, Microeconomics, Data Analysis for Social Scientists, certificated. 2016年 HarvardX on edX, Data Analysis for Life Sciences, certificated. Copyright © ロジカルシンキングことはじめ All Rights Reserved.